Actor-Network Theory (ANT) has enjoyed wide uptake in the social sciences in the past three decades, particularly in science and technology studies, and is increasingly attracting the attention of educational researchers. ANT studies bring to the fore the material – objects of all kinds – and de-centre the human and the social in educational issues. ANT sensibilities are interested in the ways human and non-human elements become interwoven. Since its first introduction, actor-network theory has undergone significant shifts and evolutions and as a result, it is not considered to be a single or coherent theoretical domain, but as developing diversely in response to various challenges. 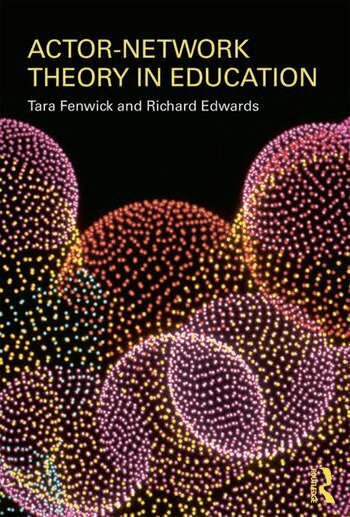 This book offers an introduction to Actor-Network Theory for educators to consider in three ways. One mode is the introduction of concepts, approaches and debates around Actor-Network Theory as a research approach in education. A second mode showcases educational studies that have employed ANT approaches in classrooms, workplaces and community settings, drawn from the UK, USA, Canada, Europe and Australia. These demonstrate how ANT can operate in highly diverse ways whether it focuses on policy critique, curriculum inquiry, engagements with digital media, change and innovation, issues of accountability, or exploring how knowledge unfolds and becomes materialized in various settings. A third mode looks at recent 'after-ANT' inquiries which open an array of important new approaches. Across these diverse environments and uptakes, the authors trace how learning and practice emerge, show what scales are at play, and demonstrate what this means for educational possibilities. Tara Fenwick is Professor of Professional Education at the University of Stirling, UK. Her research focuses on knowledge and education in workplace and professional practices, for which she won the Houle Award for Outstanding Contribution to Adult Education Literature, awarded by the American Association for Adult and Continuing Education. Richard Edwards is Professor of Education at the University of Stirling, UK. He has researched and written extensively on post-compulsory education and lifelong learning and has an international reputation in the field.